Until recently, I didn’t have any need for an IP cam. Now that I’m a home owner, I’m thinking a little differently. However, I’m not interested in spending a bunch of money or having a monthly subscription to a home monitoring service. I just want something that’ll let me know if someone is trying to jimmy the door to my garage, or if a porch pirate is rummaging around my front door. I kept seeing the Wyze cam pop up in my home automation groups, so I finally decided to check out what all the hype was about. The Wyze Cam is priced like a basic generic IP cam, but the price is deceiving. It actually comes with a rich feature set that rivals cams five times its cost. Plus, the Wyze cams are supported by active development and an engaged community. 2 More Than What You Pay For? 8 Where Does It Save My Video? More Than What You Pay For? As a consumer, I’m used to following the “you get what you pay for” cliché. For that reason, I usually avoid low-cost products like the Wyze cam. They usually come with non-existent support and a buggy app that’s not compatible with any other smart devices. 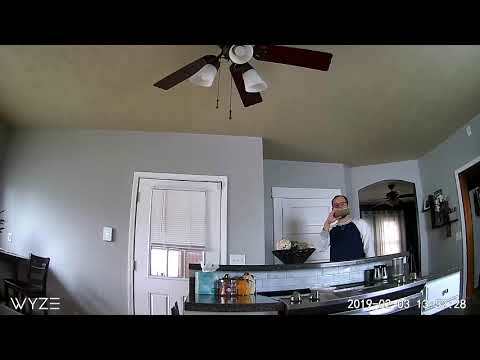 However, I’ve found that the Wyze Cam is low-cost, but not cheap. 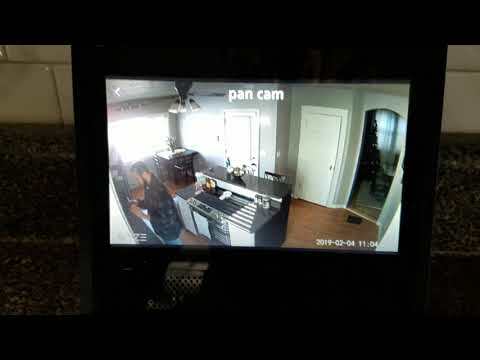 Believe it or not, with the Wyze cam, you actually get MORE than what you pay for. In a short period of time, the Wyze cams have attracted a huge number of dedicated followers (geez, I make it sound like a cult ). 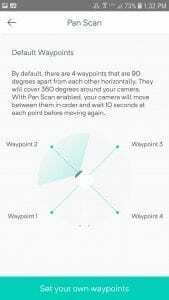 I routinely see people post about their huge shipments of Wyze cams as they arrive. 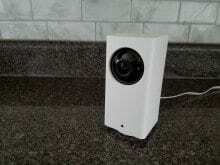 It’s not uncommon for people to brag about owning 5, 10, 20+ Wyze cams (hmm, maybe it is a cult?). Wyze customers tend to be DIY types that like to test and tinker and share their successes and failures. You’ll find serial DIY’ers making Wyze cams work in all kinds of different applications. Some people make their own weatherproof enclosures using 3d printers. Others test wireless setups using solar power combined with backup batteries. Wyze keeps an ear in on the conversation as well. In fact, user get to help decide what Wyze developers will work on next. New features get proposed and voted on by actual users here: https://forums.wyzecam.com/c/roadmap. 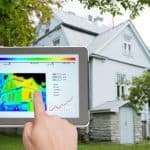 The Wyze cams are not designed to be outdoor cameras. 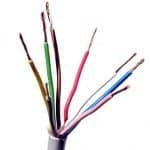 However, they seem to perform well in a wide range of temperatures. I live in South Dakota and we (and the rest of the country) recently experienced a polar vortex weather event that pushed temperatures down to -25 F with wind chills at -50 F. I set my Wyze cam outside overnight for research purposes. I’m happy to report it continued working without any problems. Although temperature doesn’t seem to be an issue, water and dust certainly could be. 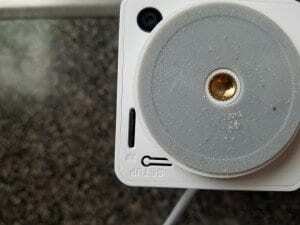 If you do plan on permanently mounting your Wyze cam outdoors, there are several enclosures available to help keep water and dust out of the sensitive places. The night vision on the Wyze cam is impressive. Night vision mode “produces crisp, high-contrast images on par with pricier cameras” According to Michael Ansaldo at TechHive. The camera uses infrared beams to illuminate the viewing area up to 30 feet away even in total darkness. Of course, the image is not in color. But, the grayscale video is crisp and clear. One limitation of the night vision is its ability to see through windows. The IR beams will not travel through the glass very well. There’s a ton of features and options hidden within the Wyze app. I’m not trying to write a complete manual, so I won’t list them all. But, here’s a few of my favorites. With an SD card installed, you can create time lapse footage. The app allows you to select a start and stop time and also the time between still shots. Here is me eating some quesadillas for lunch in about 11 seconds. My wife and I make a homemade guacamole that is phenomenal! Wyze cam is compatible with Alexa devices that have a screen. I have a Fire Stick and an Echo Show. It works fine on my Echo Show, but my Fire Stick is an old version and isn’t supported. Oh well, it’s probably time I upgrade to the 4k version anyway. Wyze has a really useful integration with IFTTT. 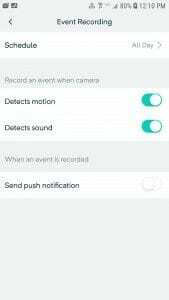 You can use applets to turn the camera off/on or turn motion detection on/off. Plus, you can trigger actions when motion or sound is detected. For a complete list of Wyze triggers and actions and some ideas of what other people have done, go here. The device also includes two-way audio. I didn’t realize it had this when I bought it, so it was a nice surprise. The audio quality is about what you’d expect from a tiny camera speaker. Any background noise like a TV will be garbled. Even if you talk directly to it, the result is pretty scratchy and there’s about a one-second lag through the app. But, if necessary, it’s good enough to have a quick conversation. Plus, it’s great for scaring the crap out of your wife when she’s least expecting it. The sounds that smoke alarms and CO detectors make are standardized. Wyze cams are programmed to be able to detect that sound pattern and send an alert to your phone if it happens. However, users have reported mixed results with this feature. The pan scan feature allows the Pan Cam to autonomously scan a full 360 degrees. You can set up waypoints and stop points to customize your pan for whatever you need. This should help secure your place against anyone that isn’t Jason Bourne. There’s also an option that will tell the camera to follow an object which it thinks is in motion. In theory, it seems pretty cool. But, in practice, it’s not quite there yet. It has a tendency to get into a positive feedback loop which makes it seems like the camera is possessed. It darts all around and up and down trying to follow some phantom motion. After some more testing, it seems the craziness is due to the speed of the camera adjustment. The camera moves too quickly and overshoots the target. 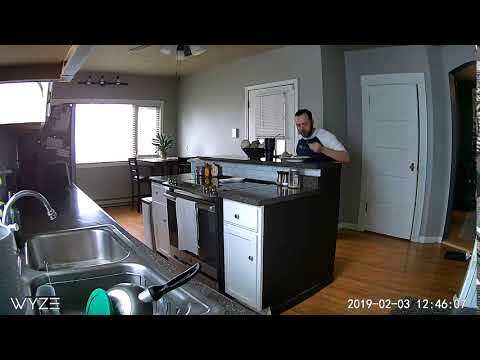 Here’s me testing the pan cam’s motion tracking in my kitchen. Where Does It Save My Video? Depending on how you use the cam, videos can be stored in three different places: cloud storage, mobile storage, or microSD card. 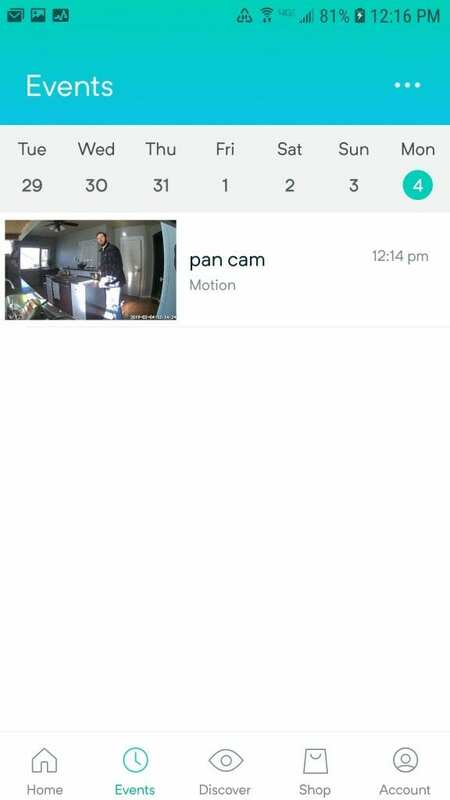 If you turn on event recording, each time the cam senses an event, it will record a 12 second clip of the event to the Wyze cloud service. It’s accessible through the Wyze app under the Events tab. The clip will remain there free of charge for 2 weeks. 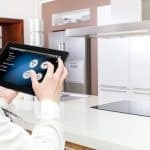 You can choose whether to record on motion detection and/or sound detection and whether you prefer to receive a notification each time a recording takes place. You can also use the schedule feature to choose during which days and times a recording can be triggered. However, there are a few limitations to this feature. The recorded clips will only be 12 seconds long (no more, no less), and there is a five-minute cooldown period between recordings. Still, the fact they give that much away for free is pretty cool considering the already low cost of buying the camera. Recordings you start manually from the Wyze app will automatically be stored on your mobile device. If you want continuous recording, you’ll need to get your own SD card. The card installs into a small slot in the bottom of the camera. Push the card into the slot until its a little past flush with the surface. There’s a spring loaded locking mechanism much like a pen. It should click into place without sticking beyond the bottom surface of the cam. To remove it, push it in and release. The Wyze cam supports up to a 32 GB card so I recommend buying 32 GB. Get a high-quality class 10 card for optimal performance. With 32 GB of storage, you’ll be able to get 2-3 days recording time in HD video or 7-8 days in SD video. The times can be greatly increased by switching to “Record on event” instead of “Continuous Recording”. Some users have successfully installed and used cards with higher capacity (64gb+) by formatting the card using exFAT. However, those sizes are not officially supported by Wyze cam, and you are more likely to experience instability or data corruption. Once the card fills up, the camera will automatically overwrite the oldest footage with the latest recording. In order to view your past recordings, you can use the Wyze app. Click on the big “view playback” button and use the slider to easily navigate through time. One of the reasons Wyze can sell its cameras so cheap is that they keep the hardware to a minimum. If you need extra accessories, they are available. But, if you don’t want them, you’re not forced to buy them as part of the package. If you want to put your cam outside, great, buy a weatherproof enclosure. If you need to mount it on a wall, cool, buy a wall mount. If you want to take advantage of local storage, pick a microSD card. Accessorize your Wyze cams as much or as little as you want. The Wyze cam is one the coolest smart home devices I’ve had the pleasure of using. Is the Wyze cam perfect? No. But, there’s tons of features and it’s supported by a great community and an active development team. Plus, the price is so low compared to competitors, it almost seems unfair. Honestly, I think the Wyze cam would still be a decent deal if it were priced double the current price. I really hesitate to give out 5-star ratings because I don’t want to dilute the meaning of a 5-star rating. But, the Wyze Cam is such a good value that I think it’s well deserved.